The technology Magna will deploy with Lyft can be ported to vehicles needing lower levels of autonomy. Magna’s $200-million investment and partnership with ride-hailing company Lyft is the latest example of auto companies collaborating on self-driving technology. Magna, the Ontario company that ranks second on Automotive News’ list of the largest global suppliers, said in March that it would invest in Lyft and work hand-inhand with the San Francisco company to roll out self-driving technology. Partnerships involving autonomous technology have been commonplace for both companies in recent years as they have poured hundreds of millions of dollars into research and development. Magna, for instance, is part of a consortium that includes BMW, Fiat Chrysler, Intel and Mobileye to develop an autonomous platform for use by 2021. Such partnerships offer cost savings and exposure to the expertise of researchers and engineers in areas previously outside the scope of automakers. 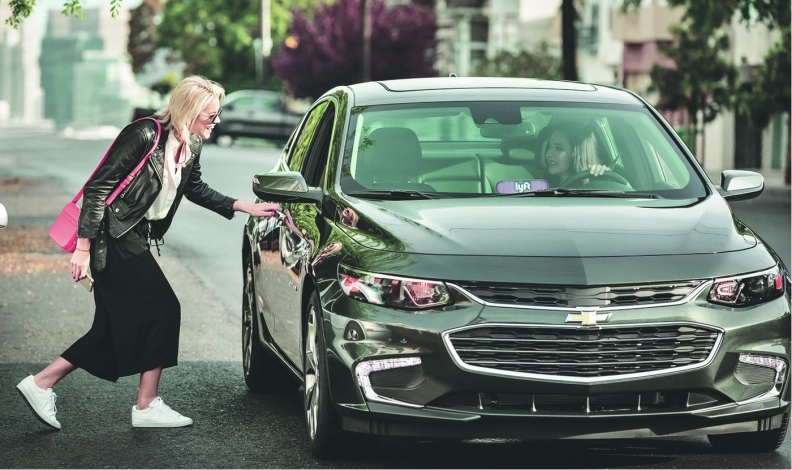 “Autonomous driving is a complicated topic, and it’s going to take some time in getting on the road in terms of volume,” said Boris Shulkin, vice-president of research and development for Magna, and the head of its project with Lyft. As part of the Lyft partnership, Magna will produce kits to make Lyft’s fleet of vehicles self-driving, though it will not manufacture vehicles for the company as it does for Mercedes-Benz, BMW and Jaguar in Europe. The kits for Lyft will include cameras, lidar and other technologies necessary for any autonomous platform, Shulkin said. At the same time, Lyft will develop software for the system out of its new research-and-development centre in Palo Alto, Calif., where the project is based. Any intellectual property developed as part of the multi-year partnership willbejointlyowned,accordingto Magna. Shulkin said Magna sees the partnership as a way to help the company get closer to developing Level 5 (fully autonomous) technology, though he does not foresee such technology being available on a mass scale beyond small, geofenced areas in certain markets. “It’s difficult to imagine that one day we’ll wake up and there are full fleets of autonomous vehicles on the streets,” Shulkin said. Still, he said Magna’s technology for Lyft can be ported to vehicles with lower levels of autonomy, still requiring some driver involvement. Magna CFO Vince Galifi told financial analysts on a call in March that revenues from the Lyft deal are not expected to be material in the short term, but that there’s “significant” potential for revenues in the long term, according to Reuters. The Lyft deal came just several months after Magna joined the consortium with BMW, Intel and Mobileye in October. As with Lyft, Magna will provide the consortium’s autonomous-driving platform with the various sensors it needs. The companies have said they plan to allow all companies, not just those within it, to use its “flexible” platform on their own autonomous vehicles. “Many of the autonomy challenges the industry is facing can’t be handled in isolation,” Magna Chief Technology Officer Swamy Kotagiri said in a statement at the time.